On this page our hero encounters one of the guardians on the road to the Hall of Truth! 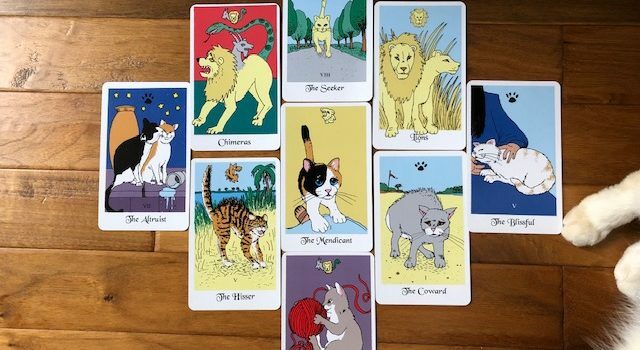 Reluctantly, The White Cat Oracle agrees to be the woman’s spirit guide… very reluctantly…. What would you do if your guide didn’t show up to take you to the Hall of Truth? The White Cat oracle at work… in this episode, he receives a soul for transmigration to the afterlife. One of the most powerful oracle card spreads is the celestial spread. In this video, I demonstrate how to do it. Question: What offers light and comfort in the darkness?